If you are looking for a basic health and safety training course our Health & Safety in the Workplace Level 1 course is a fantastic introductory course covering basic health and safety in the workplace. It is the perfect entry level course to satisfy induction training requirements for new staff. 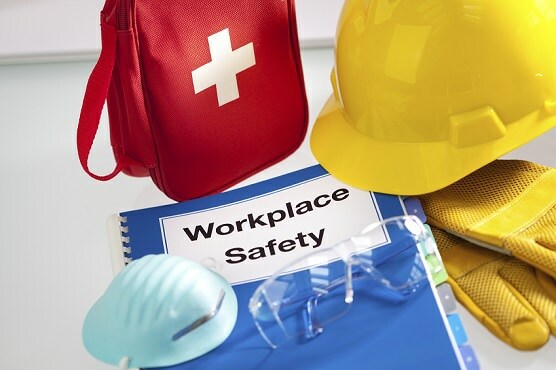 Every aspect of health and safety is important, not only to an organisation but also to employees, contractors, suppliers or anyone coming into contact with an organisation's work processes. This half day health and safety training course will benefit both the candidate and your business, ensuring that the requirements of health and safety legislation (the Health & Safety etc. at Work Act 1974) to provide awareness in establishing and maintaining a safe working environment are met. Warning: This health and safety training course is not suitable for those in a "safety" management position or nominated to fulfil the role of a Competent Person or Duty Holder. For an appropriate health and safety training course for these personnel please refer to our Health and Safety in the Workplace Level 2 course. Understanding how safety information is communicated and disseminated in the workplace. Health and Safety in the Workplace Level 1 is a 4 hour training course (depending on group size) starting at 08:30 am and finishing at 12:30 pm. Refreshments will be provided. Candidates will receive continuous practical assessment throughout the training day culminating in a multi-choice question paper. A basic level of both spoken and written English will be required. On successful completion of our health and safety training course candidates will receive an industry recognised Health and Safety Certificate which is valid for three years. The qualification itself does not expire but it is recommend that refresher or continuation training is completed to ensure staff remain up to date with company policy and procedural changes to health and safety legislation.